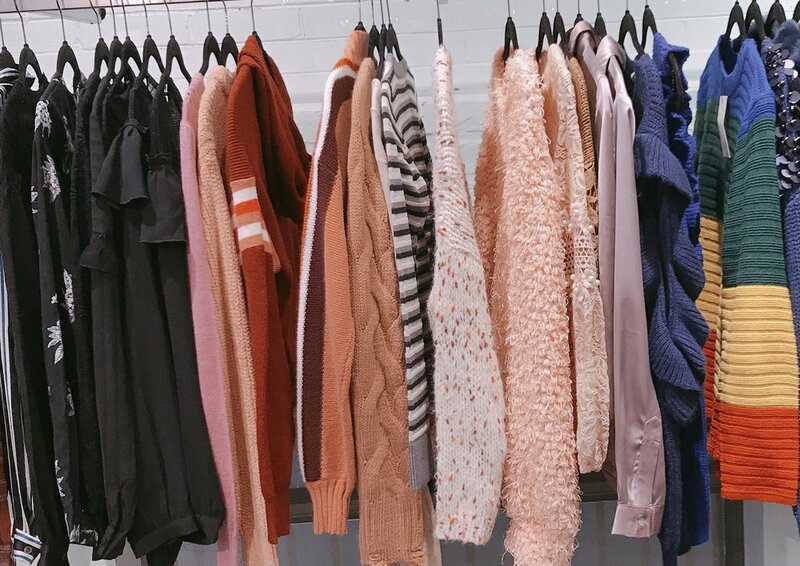 New York’s emerging designer sample and stock pop up, Clever Alice, has set up shop at 1714 N. Damen Avenue in Chicago’s Wicker Park neighborhood, from November 14th to 18th. We scoped out the curated pop up boutique to shop the sale and to get the deets. We shopped samples and stock from Porto, Inizio, Cigno Nero, Raw Earth, Wild Sky, Anu , Casting Paris, Heartloom, STELLAH, Allison Collection, Charlotte London, Sympathy by SW and more. There are many unique fashion gems to be found and a lot of great deals on beautiful samples between $12-$50. Make sure to stop in before Clever Alice heads back to New York! I found a beautiful lace gown for $45 and a collection of slip tanks for only $12. We are hoping to get back one more time before the pop up closes to grab a few more cocktail dresses for the holiday season.